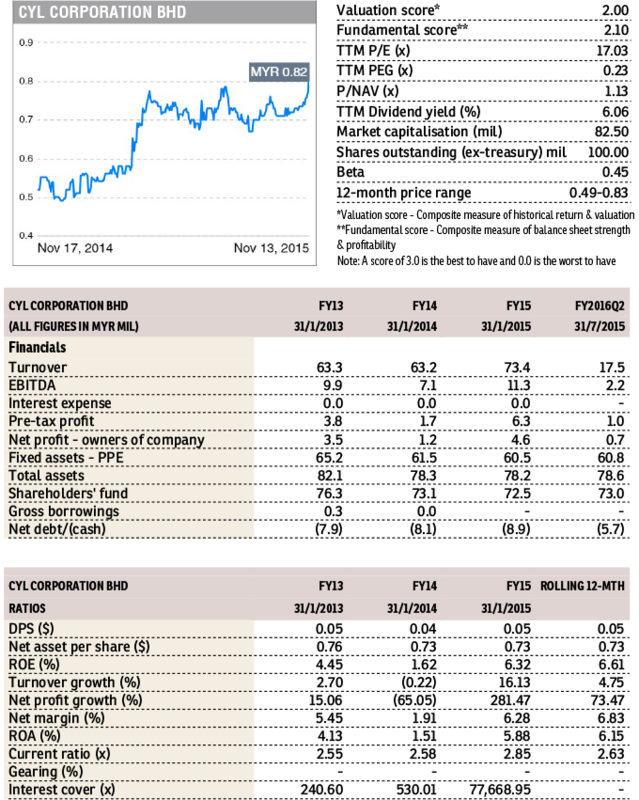 CYL (Fundamental: 2.1/3, Valuation: 2/3) triggered our momentum algorithm yesterday, up a whopping 20% to close at 99 sen. There was no significant development recently except for 2QFYJan2016 earnings announcement on Sept 28. For 2QFY2016, revenue dropped 9.6% y-y to RM17.5 million while net profit slumped 53.4% to RM0.7 million, due to lower activity and adjustment of selling prices. 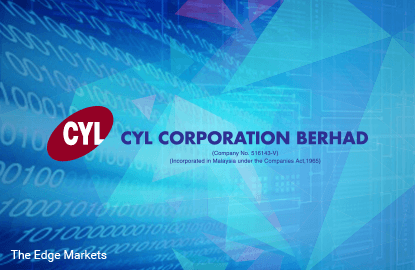 Selangor-based CYL mainly manufactures and supplies plastic packaging products such as bottles and containers. The company’s products cater to the automotive lubricant industries, toiletries and detergent manufacturers, foods processing industries and pharmaceutical packaging industries. In July, it was reported that CYL will earmark RM8 million for capital expenditure on new machineries and equipment. The company intends to shift its focus towards automation as well as improve production efficiency. CYL has paid dividends consistently, since 2005. Dividends totaled 5 sen per share for FY2015, giving a decent yield of 5.1%.